When inhaled, dust, vapors, gas, mist, and fumes can contribute to a multitude of problems not only in the lungs but throughout the entire body. Air quality in the workplace should be one of the first hazards employers look for and address because the air we breathe has such a direct impact on our health. If there are dangerous fumes permeating the air at a job site, workers are being exposed to respiratory hazards before ever even starting the job or touching a piece of equipment. Workers are most commonly susceptible to hazardous air quality if they work in construction, manufacturing or agriculture industries. In these industries (and others), respiratory hazards can include gases such as ammonia and carbon monoxide, vapors such as gasoline and chloroform, dust such as particles of coal and grain, mists such as spray paint and chemical steam, and fumes caused by welding and smelting. Exposure to hazardous concentrations of contaminants can result in both chronic and acute health problems. Health problems that develop quickly as a result of exposure to contaminants in the air include: itchy and watery eyes, irritated skin, headaches, and breathing problems. Eye irritation may occur immediately after exposure to sulfuric acid, which is used to manufacture fertilisers, detergents, lead-acid batteries, and dyes. Headaches and dizziness may occur immediately after exposure to carbon monoxide, which is commonly used in the manufacturing, heating and cooling industries. An individual may notice skin irritation immediately after exposure to ammonia, commonly used in fertilisers and cleansers. The most serious of acute complications is breathing problems, which commonly occur after exposure to methylbenzene, a substance used to manufacture paint thinners and perfumes. Long-term exposure to lead can result in brain damage. Lead exposure is primarily associated with welding activities. The kidneys can be negatively affected by long-term exposure to mercury, which is used to manufacture batteries and thermometers. Lung cancer can result from long-term exposure to asbestos or silica, which can often be found on construction job sites. Long-term exposure to chloroform, which is used to manufacture refrigerants and solvents, can lead to liver failure. 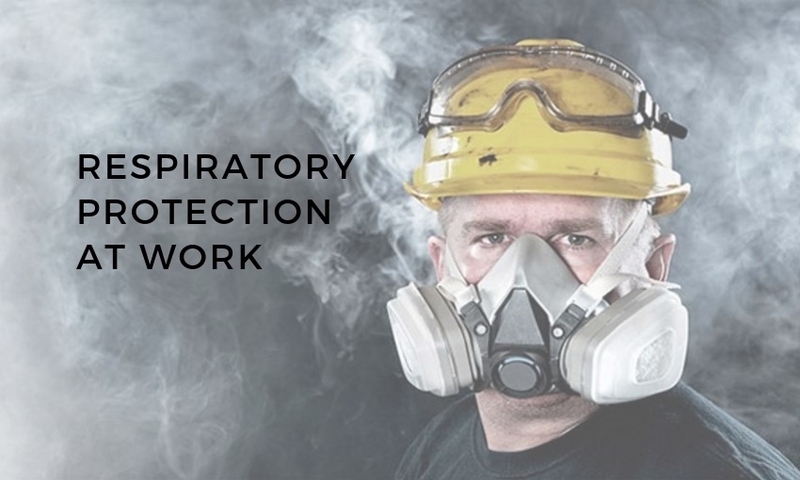 To protect workers from chronic and acute illnesses, employers should provide staff with appropriate respiratory protection. Some ways to administer engineering controls include installing ventilation systems, and enclosing or confining operations to avoid employee exposure to hazardous air qualities. Administrative controls include using signs to keep workers away from hazardous areas, changing work procedures, or training employees to work in a safer way. There are two basic types of respirators- “air purifying respirators,” which filter out ambient air, and “air supplying respirators,” which provide clean, breathable air from an uncontaminated source. Air supplying respirators provide a higher level of protection than air-purifying respirators. Work Safe NZ requires employers to take action to control respiratory hazards at their work site. When going through the process of selecting the right respirator for a job, employers should consider the concentrations of the contaminants in the air, the relevant occupational exposure limits, the nature of the work operation, the nature of the respiratory hazard, and the length of time employees will use the respirators. Employers should also make note of the physical characteristics, functional capabilities and limitations of each respiratory type, and make sure the respirator will fit correctly on each employee. How Can Working Health Help? Working Health can provide you with respiratory protection guidance, as well as lung function testing for your staff, to ensure you meet all your Health & Safety obligations. If you have more specific questions related to Workplace Respiratory Hazards and Protection, please call us on 0800 430 209 or Email Us today. Posted in Healthy Workplace, Lung Function and Spirometry.